This is my first knitting project for 2019, which I knitted with some of the wool I got for Christmas. Please don’t be irritated, the stripes are straight, it’s just me and how I stand while I took the photos. 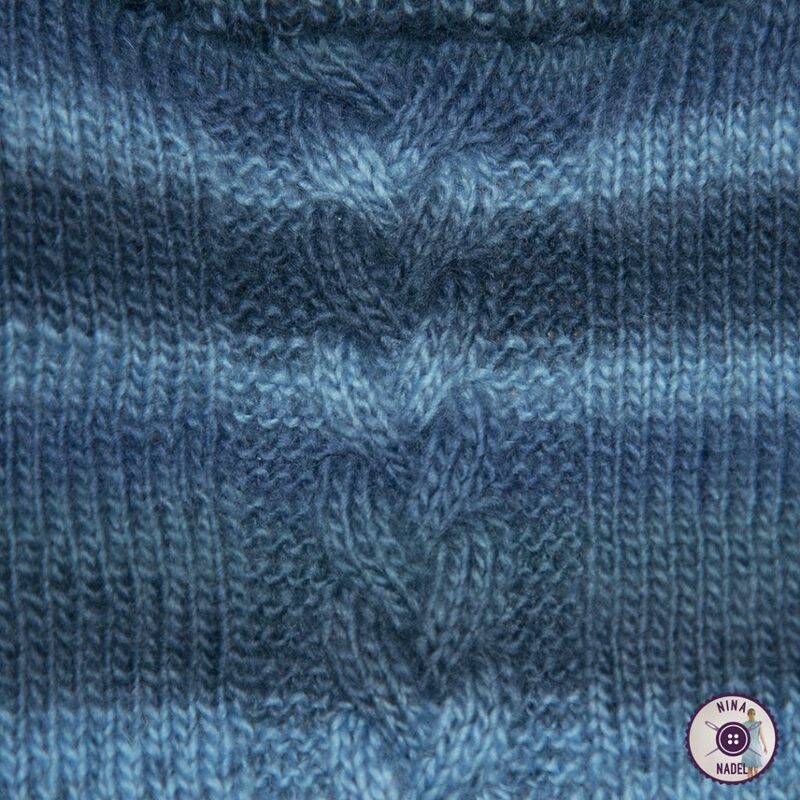 Originally I had planned a beanie – scarf – set with this wool, but then I found the blue stripes much too beautiful, so I decided to knit a cardigan with a single Cable on the back instead. 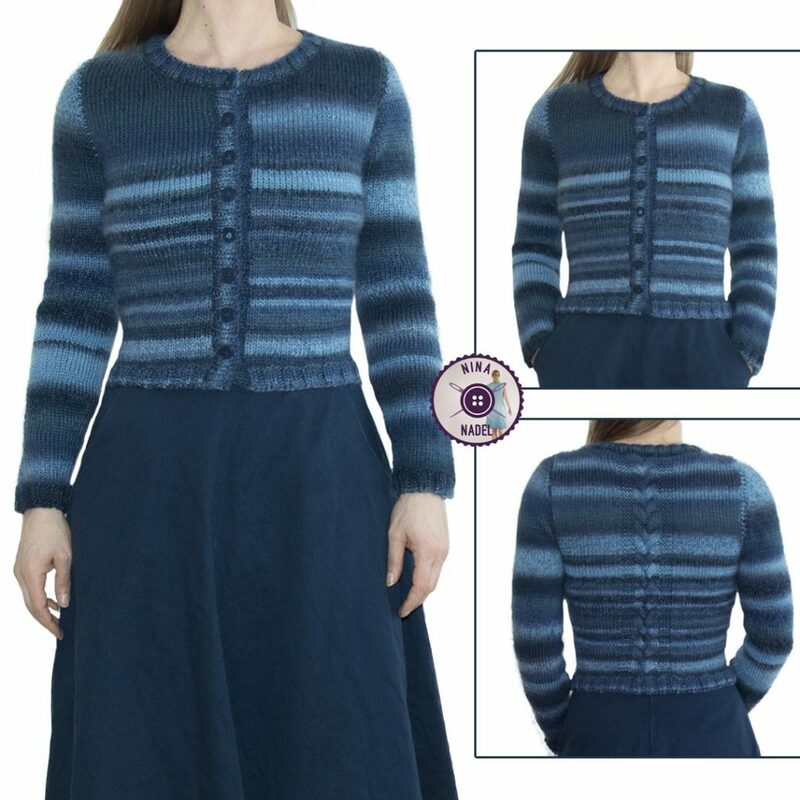 The cable is centered on the backside of my cardigan (the neckband I knitted last) and is framed by 4 stitches in garter stitch (= knit theses stitches on the right & the wrong side). The entire cable pattern WITH the enclosure in garter stitch consists of a total of 20 stitches.